David concentrates on employment litigation, mostly focusing on the public sector. 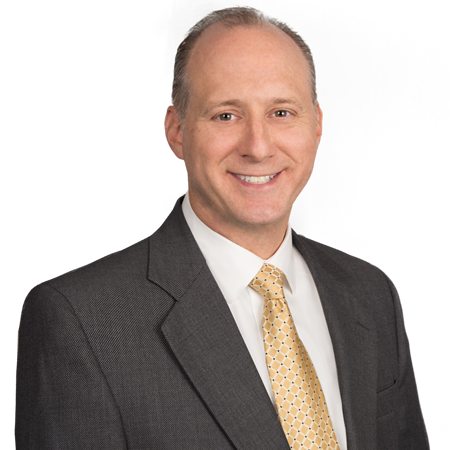 David also advises employers on avoidance of litigation through counseling and training in the workplace as well as conducting workplace investigations on behalf of employers. David defends individuals, corporations and municipalities in employment related matters, including claims of discrimination, harassment, retaliation, whistleblower, wrongful termination, and civil rights violations before the Connecticut Commission on Human Rights and Opportunities, the Massachusetts Commission Against Discrimination, the U.S. Equal Employment Opportunity Commission, the Connecticut Department of Labor and the Massachusetts Department of Labor Relations, and state and federal courts throughout Connecticut and Massachusetts. Ackley v. New London: State court lawsuit by now retired Chief of Police claiming breach of contract, promissory estoppel, unjust enrichment, quantum meruit and breach of implied covenant of good faith and fail dealings based upon failure to honor employment contract and settlement agreed to by Mayor but rejected by the City Council. Motion to Strike resulted in elimination of all claims except for breach of contracts finding that City Council had authority to contract and that City immune from breach of implied covenant of good faith and fail dealings. Ruling on motion to strike essentially resolved breach of contract claim as well. Danley v. Ansonia: Federal court lawsuit by employee claiming First Amendment retaliation for pursuing right to petition and grievance for bring workers’ compensation claim and workers’ compensation retaliation. Summary judgement eliminated First Amendment retaliation claim leaving only workers’ compensation claim with no damages. Delsanto v. Farmington: State court lawsuit alleging discrimination for termination of a paraprofessional. Summary judgment on basis that the plaintiff was employee of Board of Education and not Town. Donegan v. Middlebury: State court lawsuit alleging age and gender discrimination for termination of zoning enforcement officer. Summary judgment granted on basis of legitimate, non-discriminatory reasons for termination. McKinney v. Glastonbury: Former officer in the Town’s on-call fire department claiming age discrimination for mandatory retirement before the Connecticut Commission on Human Rights and Opportunities. Full Public Hearing resulting in judgement in favor of the Town that mandatory retirement is authorized under Connecticut law for firefighters even for high ranking officers. Remetta v. Madison: State court lawsuit by former employee claiming breach of contract, breach of implied contract, breach of implied covenant of good faith and fair dealings, wrongful termination, retaliation for participation in union complaint, discrimination, and negligent infliction of emotional distress. Motion to Dismiss granted on union retaliation claim for plaintiff’s failure to exhaust administrative remedy before State Board of Labor Relations. Motion to Strike granted on breach of implied contract, breach of implied covenant of good faith and fair dealings and negligent infliction of emotional distress resulting in plaintiff withdrawing the lawsuit. Shaker v. Farmington: Disability discrimination claim before the Connecticut Commission on Human Rights and Opportunities by former police officer terminated 9 months after on-duty injury and unknown when the officer could return to work. Case dismissed on Merit Assessment Review. Szabo v. Torrington: Federal court lawsuit by former police officer alleging age discrimination of forced resignation. Summary judgment ruling that City had legitimate, non-discriminatory reasons to pursue discipline against the plaintiff.